A French Whipping is the second book in The Billionaire Tricksters of Boston series. I fell completely in love with the first book and was very impatiently waiting for this one. In this story we follow Nick Cord, a man in need of control in his life, and Blake Webster, his longtime friend who has a control issue of her own. While Nick tries to control every aspect of his life, allowing for little flexibility or freedom, Blake is in need of freeing herself from the control of the domineering men in her past. Though she has broken free from her abusive relationships, she is still scarred by them, both physically and emotionally. Her need to break away from and heal those scars leads her to the plan of seducing Nick. She sees him as a safe place to reclaim her sexuality and she is bound, pun intended, to achieve her goal. Nick has always had a thing for Blake, but his formative years have given him a depressed outlook on relationships and his ability to have a successful one. His warring emotions make things more difficult for both of them, but ultimately he loves Blake and would do anything for her. Unfortunately, as Blake works to put her past behind her, part of it wanders back to town. Her first abusive boyfriend is back and will stop at nothing to get what he wants as he tries to destroy Nick and Blake along the way. I enjoyed this second book in the series quite a lot. Nicole Camden has a wonderful gift of being able to create believable characters that you want to be friends with and she works her magic again here. I have to admit that I didn’t fall in love with Nick and Blake like I did with Milton and Regina in The Lady Vanishes, but I did enjoy spending time with them. Looking forward to reading book number three. My gracious thanks to Pocket Star Books and NetGalley for providing me with an eARC of this book in exchange for my honest opinion review. 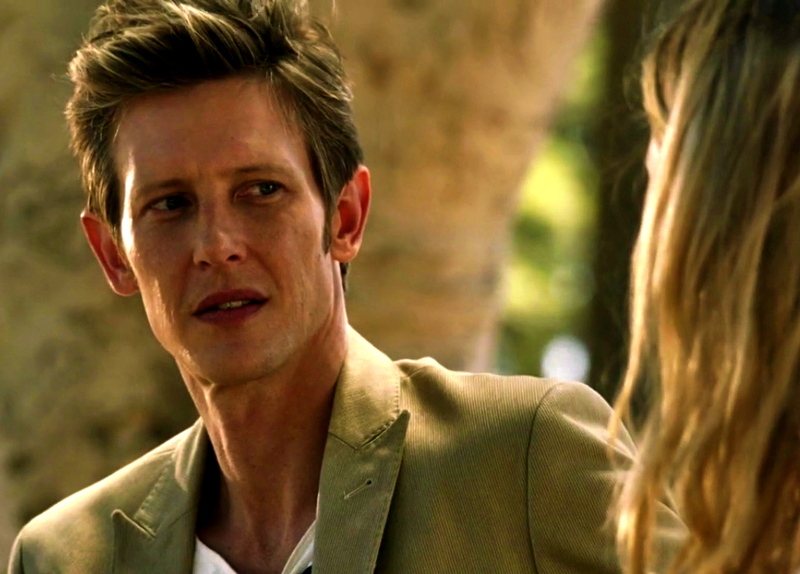 —Revenge Best quote of the week goes to Nolan. Also, the last time I’ll be quoting from this show. —Arrow M Merlyn always snarky! —Orphan Black Weirdest quote of the week goes to the scorpion! LOL! —Orphan Black Can’t go a week without a quote from Felix. Here are my top 3 quotes from the books I’ve read this week. Feeling great is not something that can be bottled and bought. It does not come from where we live, what we drive, or who we know. It’s not about having a good time for a few hours, or about having money to spend. It’s about putting your life in order and remembering who you really are—an authentic way of living from the inside that will sustain you through life’s challenges. In this treasure of a book, built on the timeless spiritual teachings of visionary Dadi Janki, you will learn the precepts for feeling great and the three keys that unlock the ability to attain it. Parables and examples further illuminate this wisdom. Coauthors Peter Vegso and Kelly Johnson reveal practical applications to help you navigate and overcome the sticking points we all encounter in our hectic, overscheduled lives. Now is the time to start feeling great—not as a temporary indulgence, but as a lasting state of being. This uplifting book shows you how easy it can be. 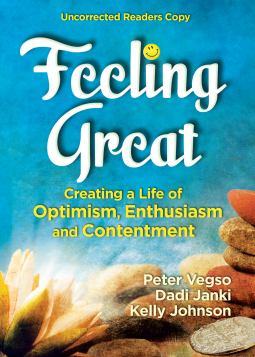 Feeling Great: Creating a Life of Optimism, Enthusiasm and Contentment is a gem of a book. It seems more and more in the fast paced society we live in that we are always seeking something more. We are all setting ourselves up for complete mental and physical exhaustion, if we aren’t already there, by being constantly on the run and not feeling fulfilled. This book brings together wisdom from three wonderful spiritualist teachers and we can all learn something valuable from reading it. I was excited when this book came my way. Of course I want to feel great. Who doesn’t? I’d venture to guess that most of us don’t, however. And, most of us are looking for outside factors to make us feel better. Sadly, that isn’t going to work, even though it continues to be our go to way of hoping for a better life. To truly have a fulfilling life, one where you do feel great, we need to go inside ourselves. Yes, we’ve heard this time and again, it’s not a new idea by far, however this book brings together some unique ways of attaining that inner growth. In reading the book I thought there would be more practical exercises, as is often the case in self-help books. Though it wasn’t what I expected going in, I found the wisdom imparted throughout to be second to none. If you want to feel great, give this book a read. My gracious thanks to HCI Books and NetGalley for providing me with an eARC of this book in exchange for my honest opinion review. Chocolates are fine and flowers rarely disappoint, but for relationships on the rocks, nothing says “I love you” like the promise of renewal. In I’m Not a Mind Reader, Babits reveals that too often, even the smartest people have difficulty communicating, and we’ve learned over the years that love isn’t enough to repair the normal wear and tear that occurs in relationships. So, what can couples do when even love itself fails? Babits lays out a totally unique blueprint for renewal in I’m Not a Mind Reader, explaining that every message from one partner to another can be considered in terms of three separate dimensions. Armed with this formula, whatever needs to be better understood, resolved, expanded or modified in the relationship can be addressed and communication brings coherence and connection. The person who practices three-dimensional communication lives in full and vibrant color compared with seeing everything in black and white. This new method is vivid and textured; it promotes the capacity to negotiate differences, to clarify misunderstandings, to heal confusions, and to reinvigorate passion and trust. 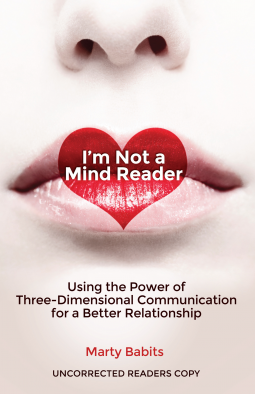 I’m Not a Mind Reader: Using the Power of Three-Dimensional Communication for Better Relationships brings to light a unique concept in communication. The author goes into great detail with his idea of three dimensional communication and it makes a lot of sense. We do all live in a three dimensional world, but we tend to not look from that broader perspective in our relationships. For our relationships to be successful, it’s important to take a step back and really see what’s happening with our interactions with the people in our lives and this book provides a great tactic for doing that. There are some great activities included, as well, which really help to bring the ideas into tangible reality. Though this book is geared toward helping those in a long term personal relationship, the general ideals of the blueprint are definitely helpful for all relationships, both personal and professional. I’d recommend the book for anyone looking for ideas on how to improve all of their relationships, not just the romantic ones. Experience CLASSIC tales in MANGA format! 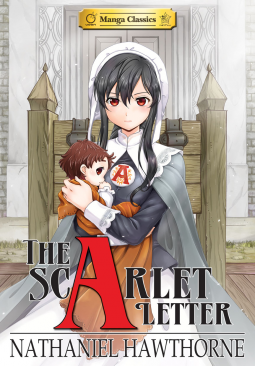 Nathaniel Hawthorne’s powerful tale of forbidden love, shame and revenge comes to life in Manga Classics: The Scarlet Letter. When Hester Prynne bears an illegitimate child she is introduced to the ugliness, complexity, and ultimately the strength of the human spirit. Though set in a Puritan community during the Colonial American period, the moral dilemmas of personal responsibility and consuming emotions of guilt, anger, loyalty and revenge are timeless. This manga retelling of Hawthorn’s classic American novel is faithfully adapted by Crystal S. Chan and features stunning artwork by SunNeko Lee which will give old and new readers alike a fresh insight into this tragic saga of Puritan America. I think we all had the pleasure, or torment, of reading The Scarlet Letter in high school, so I won’t get into the details of the story itself other than to say that this version is a pretty accurate representation of the original book. This was my first time reading manga and I honestly wasn’t sure what to expect. I’ve never really gravitated to the artistic style of it, but in this case I found the graphics to be lovely. The color cover is quite beautiful and after seeing that I was surprised that the book wasn’t in color. However, having everything in black and white, with the exception of the scarlet A, was a good way to go I think allowing for it to stand out in a dominant way just as Hester did in her society. The reading of it was slow at the start and did take some getting used to, but after a little while it no longer seemed odd. I still can’t say that I’m a fan of the manga style, but I would read another one of these books, as this was a nice unique take on the classic we all know. My gracious thanks to Udon Entertainment and NetGalley for providing me with an ARC of this book in exchange for my honest opinion review. Have you all watched the Wayward Pines Pilot? Are you waiting for Thursday? Are you not planning to watch at all? I think those are the three choices available to all of us. 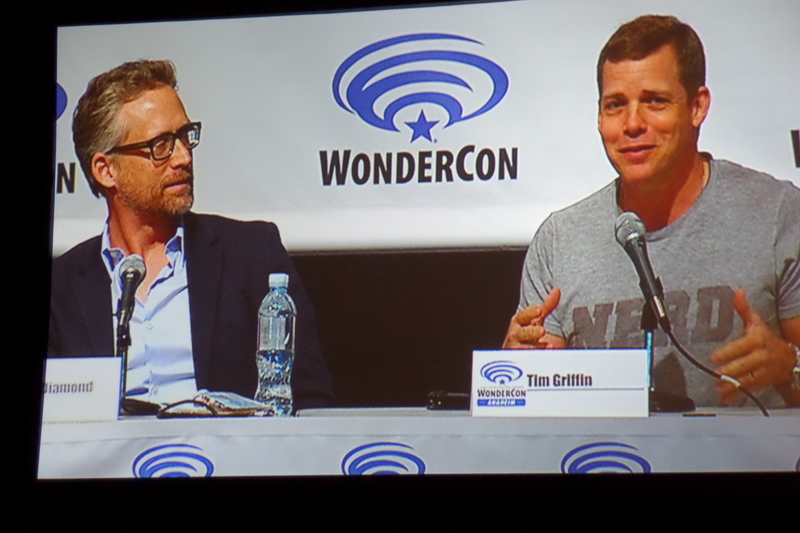 I was able to see the pilot episode in April at WonderCon and I’m intrigued enough to watch more. 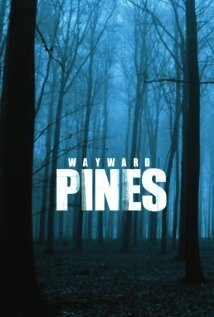 Based on Blake Crouch’s international bestselling series of books and brought to life by suspenseful storyteller M. Night Shyamalan, Wayward Pines is a 10-episode, intense psychological thriller, starring Academy Award nominee Matt Dillon as a secret service agent on a mission to find two missing federal agents in the bucolic town of Wayward Pines, ID. Every step closer to the truth makes him question if he will ever get out of Wayward Pines alive. 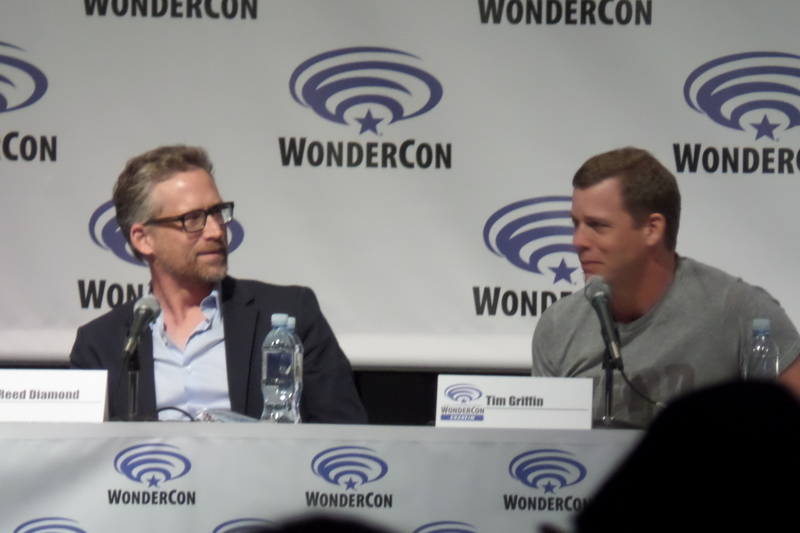 The show was developed for television by Chad Hodge and executive-produced by Donald De Line, Ashwin Rajan, Hodge, and Shyamalan. Chad Hodge wrote and M. Night Shyamalan directed the premiere episode. An insightful Q&A will follow the screening. The new psychological thriller Wayward Pines premieres on May 14h, for the start of its 10 episode run. Based on Blake Crouch’s best selling novel “Pines,” the series brings together an amazing cast and group of filmmakers that seems like a perfect storm of talent. With the involvement of M. Night Shyamalan and Donald De Line we should expect to be in for quite a ride. In the pilot episode we meet secret service agent Ethan Burke (Matt Dillon) as he makes his way to Wayward Pines, Idaho, in search of two fellow agents who have gone missing. Before arriving in town he is involved in a major car accident. Upon awakening from the crash, he finds himself in a crazy creepy hospital in the care of sweetly creepy Nurse Pam (Melissa Leo). Though not without difficulty, he manages to escape the weird hospital only to find himself in the even weirder town. As he tries to make contact with his wife Theresa (Shannyn Sossamon) and boss Adam Hassler (Tim Griffin), in the outside world, he encounters a helpful bartender named Beverly (Juliette Lewis) and disturbingly charming Sheriff Pope (Terrence Howard). Surprisingly, he also makes contact with one of the missing agents, his former partner/lover Kate Hewson (Carla Gugino), and her husband Harold (Reed Diamond). I don’t want to say too much more about the specific details of the episode before it airs, so I’ll just say that nothing about Wayward Pines is what is seems and I’m looking forward to spending time in the Twin Peaksesque town. If Burke starts ordering cherry pie I may need to bow out, though. 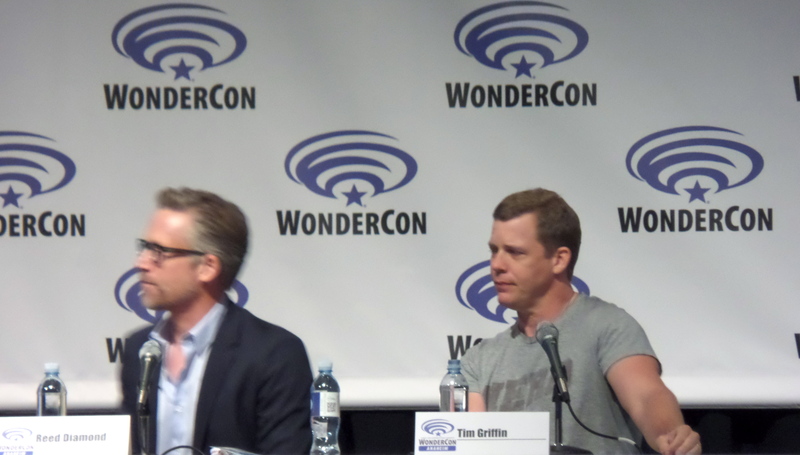 The brief panel discussion that followed the pilot screening consisted of executive producer Donald De Line and cast members Tim Griffin and Reed Diamond. 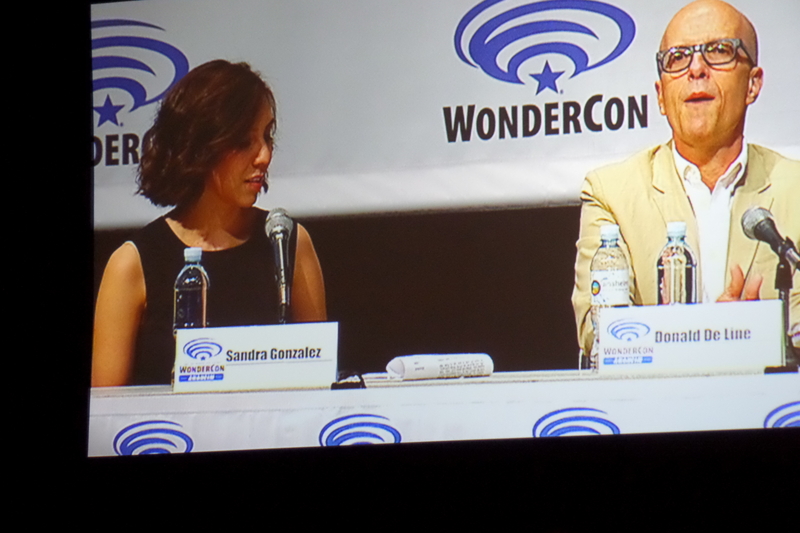 The biggest takeaway for me was when De Line shared that the big reveal about what’s going on will come at the end of the fifth episode, so as to not string along the audience. When to give up information is always a tough choice, but with a ten episode mini-series, the decision is a bit easier, but I think most people will feel that midway through the series is early to learn the big mystery. I have no doubt there is more than one mystery going on, however. 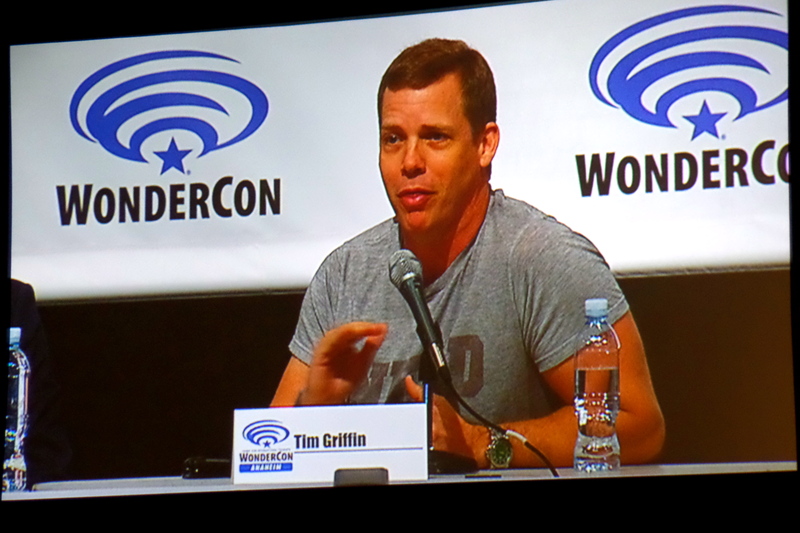 He also shared that when they started working on the project there was only the original book to work from and now there is a three part series, so if the show is a success there is certainly places they can take it. Only time will tell, but I plan to be onboard for the entirety of the mini-series. I haven’t yet read the books and I think I’ll hold off until after the series, at this point, so as not to be too spoiled. Wayward Pines premieres on May 14th at 9:00 p.m. on Fox. **All photos in this post were personally taken by me. Please do not copy or use them for any purpose without my permission. Thank you.